NBC Connecticut First Alert meteorologist Ryan Hanrahan gives you the science behind the forecast and shares with you an in-depth look at the weather impacting Connecticut. Nearly $1 billion in property value in Connecticut has vanished due to rising sea levels according to the non profit First Street Foundation. Across the Tri-State region they found nearly $6.7 billion in lost property value due to sea level rise flooding. In Connecticut they found 14,713 homes lost value due to rising sea levels which amounts to $916 million dollars in lost value. First Street found Milford as the hardest hit city or town in Connecticut with $127 million in lost property value between 2005 and 2017. 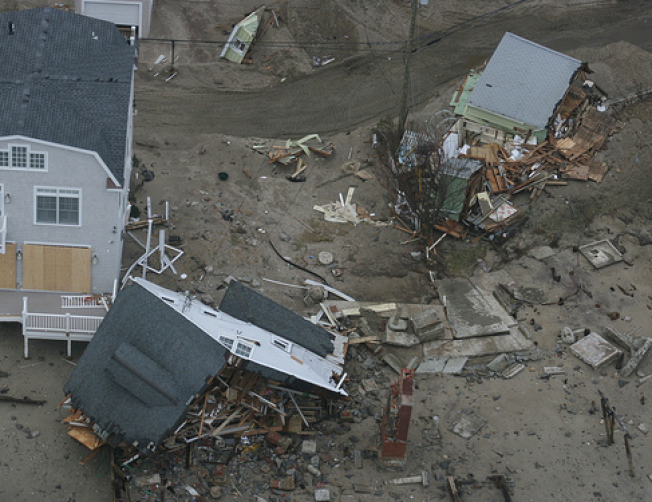 The study controlled for economic trends and was able to, "isolate the impact that increased frequent tidal flooding, caused by sea level rise, has had on home value." Andrew Freedman, the climate science writer for Axios.com, noted that this is one of a number of new studies with similar results. This shouldn't come as a susprise. Across the globe sea level has risen approximately 8 inches in the last 100 years due to global warming. Across the northeastern United States the increase has been even more pronounced (due to the fact the land is sinking slowly in this part of the world which magnifies the impact of rising sea level). 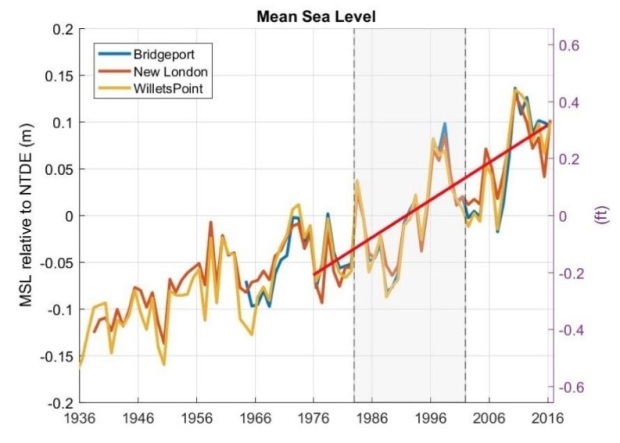 Tidal gauges on Long Island Sound in Bridgeport, New London, and Willets Point (New York City) show the increase in sea level over the past 80 years. The trend is clear that the impact of climate change is already being felt and is likely to become an increasingly bigger problem for towns on Long Island Sound.